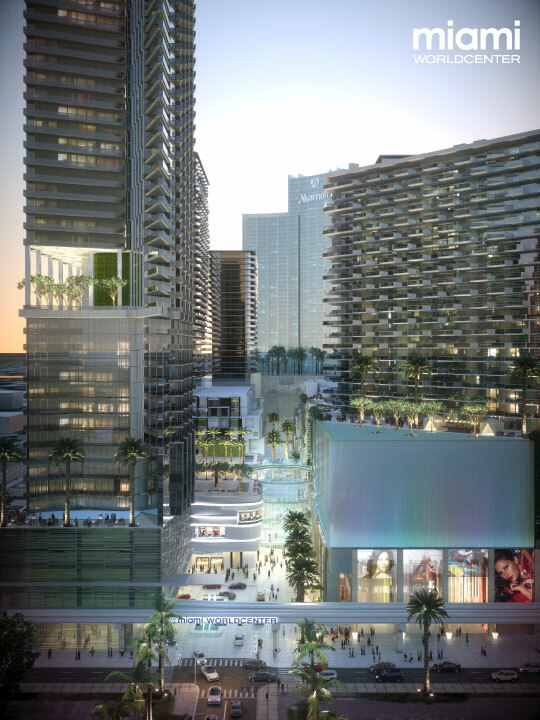 The Miami Worldcenter is a massive multi-use project consisting of a large shopping complex and a trio of towers sitting on more than 25 acres and encompassing several city blocks. The three towers are 56, 47 and 34 stories tall with a total of 1,200 Miami condos for sale available in a variety of sizes and prices. One of the three towers also features a hotel. 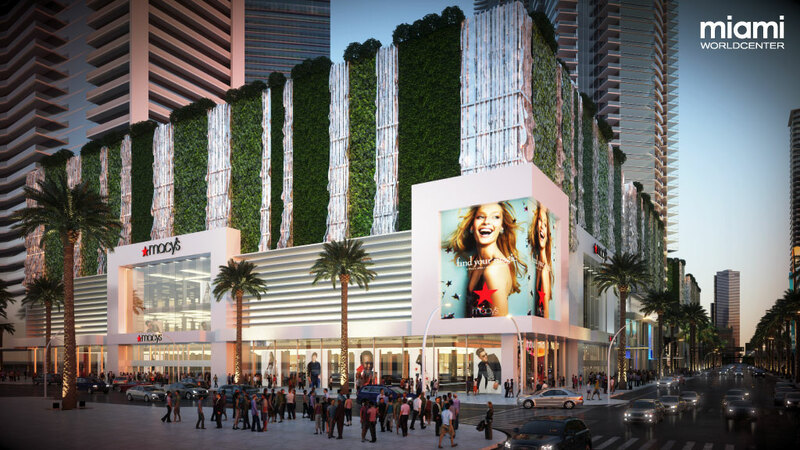 Macy's and Bloomingdales are two of the numerous stores that are part of Miami Worldcenter. 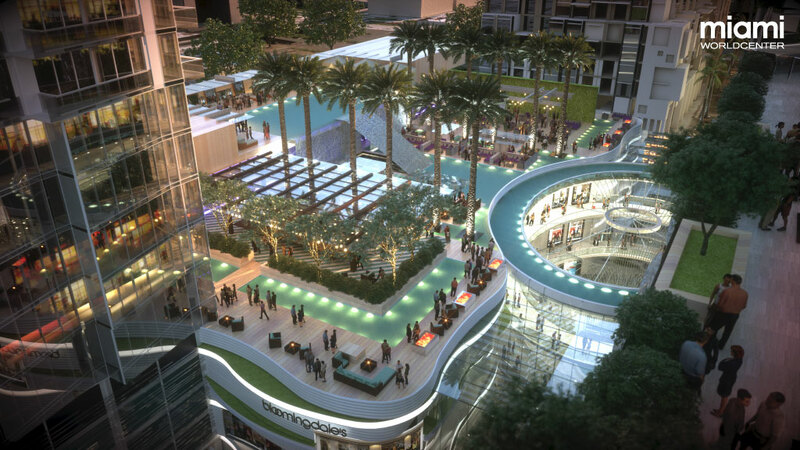 You'll find over 700,000 square feet of retail area and there is also an amenity deck that spans nine acres. 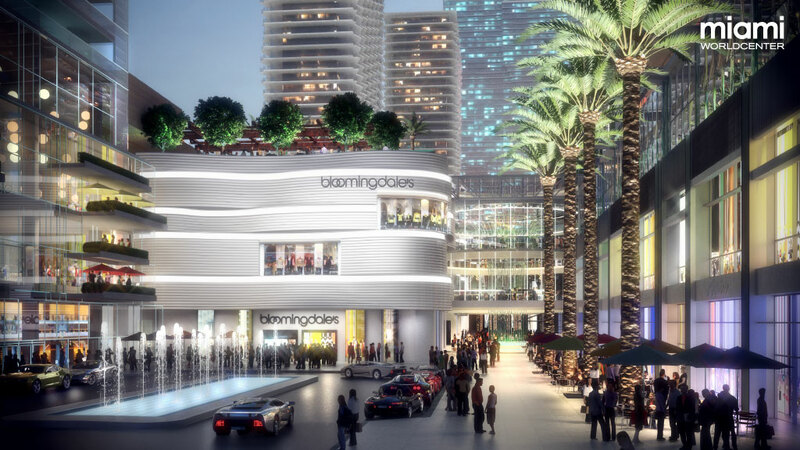 A theater with 1,500 seats and convention space are other features in store for Miami Worldcenter. 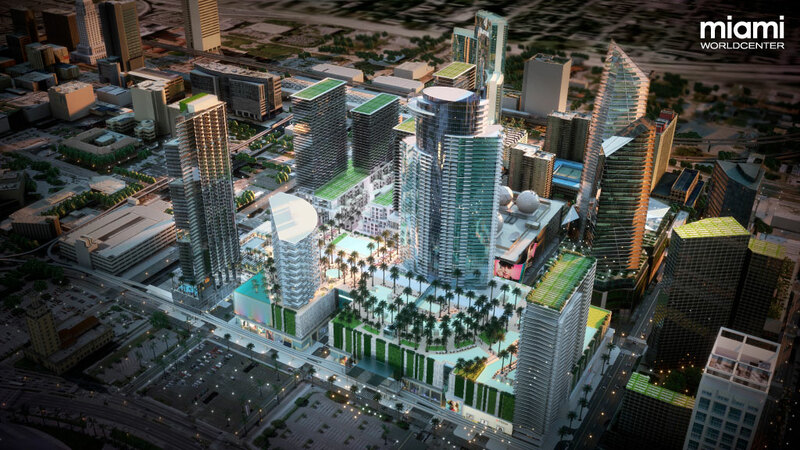 Details on the Miami Worldcenter condos and apartments have yet to be revealed. Miami Worldcenter itself offers a great deal of sights to see and things to do but the location also puts it near Miami mainstays like the Adrienne Arsht Center for the Performing Arts, the open air Bayside Marketplace and the American Airlines Arena.